THE Church is the great mystery of reconciliation between God and humanity. Those who have been baptized into the Body of Christ, the Church, have been set free from evil and sin, and invited to share in a world of grace so that they might live a life reconciled with God and one another in Jesus Christ (Romans 6). This reconciliation is received and celebrated with others in the community of faith, the Church, and is expressed most fully in the Eucharist, the sacrament of the Body of Christ, the great sign of our reconciliation. Welcomed into the community of grace and Spirit through Baptism, and strengthened by the gift of the Spirit in Confirmation, the Church celebrates the plenitude of Christ’s reconciling love week by week in the Eucharist. In my Pastoral Letter on the Sunday Eucharist, The Day on Which We Gather (Holy Thursday, March 31, 1988), I described the Eucharist as the source and summit of Christian life (Constitution on the Sacred Liturgy, Sacrosanctum Concilium, no. 10). The Eucharist lies at the heart of the Church’s sacramental life, and is the central Sacrament of reconciliation with God in and through Christ’s Paschal Mystery. This mystery is beautifully expressed in the “Eucharistic Prayers for Reconciliation” which remind us of Christ’s ministry of reconciliation, and invite us to recognize our continuing need for forgiveness and mercy, as well as our call to forgive and be merciful to others. Moreover, they call us to seek out those most in need of healing and reconciliation. We do not always live by the grace of reconciliation given in the Sacraments of Initiation and celebrated preeminently in the Eucharist. In many ways, both great and small, we compromise or betray that original gift of grace and Spirit given in Baptism. We sin. We stand in need of forgiveness and the constancy of God’s mercy. And so, the Sacrament of Penance is the gift to the Church by Christ for the forgiveness of sin. Above all, Penance is the Sacrament of conversion away from sin and evil toward a life of fullness of grace and the Spirit. In the Sacrament of Penance, the community of the redeemed recognizes its own sinfulness, commits itself to the process of ongoing conversion, and celebrates the abundant mercy of God revealed in Christ Jesus. The title of this Pastoral Letter comes from the Rite of Penance itself which calls for a proclamation in praise of God’s mercy in light of the reality of God’s forgiveness. (Rite of Penance, no. 56). But the title derives also from the writings of Saint Paul and Saint John who view the confession of one’s sinfulness as an essential discipline of the Christian life. For both, confession is primarily an acknowledgment of the truth of God’s mercy incarnate in Jesus Christ (Romans 10:9; 1 John 2:23; 4:2,3,15). I write to you on Ash Wednesday, the beginning of the Season of Lent, in the sincere hope of cultivating a deeper appreciation of the Sacrament of Penance and of renewing its practice as a celebration of God’s mercy. This Pastoral Letter is written to encourage and support all the priests, deacons, religious and Catholic Faithful of the Archdiocese, particularly those who are involved in the ongoing liturgical renewal of the parishes and other worshiping communities within the Archdiocese. It is difficult for many in the world today to believe in a God of love and forgiveness. But the Church is the community of those who have been forgiven by God in Christ Jesus, and who stand together as the Body of Christ, trusting in God’s promise of forgiveness and rejoicing in it together. The Church is, thus, a corporate witness and sacrament to the world by its admission of sin and its boundless confidence in the vastness of God’s love and mercy. A community whose members have been forgiven is strengthened in the courage to forgive others. Being reconciled to God in Christ, we are called to reconcile others in turn, being sent to bring healing and peace between and among individuals, families, communities, nations, races, and classes. The central message of Christ is one of unrestricted forgiveness. What has been given without measure is to be shared without measure. “This makes us ambassadors for Christ, God as it were appealing through us. We implore you, in Christ’s name: be reconciled to God” (2 Corinthians 5:20). The Sacrament of Penance is a great gift in and for the Church, and should play a vital part in the lives of all its members. But efforts since the Second Vatican Council to reform and renew the celebration of this Sacrament do not appear to have brought about significant changes in our understanding and practice of penance. Perhaps this may be due in part to the difficulty involved whenever we attempt to confront the reality of sin and sinfulness in human life. Seeing ourselves as sinful is no easy matter, to say nothing of the challenges of adjusting to new ways of confessing our sin, and taking up the task of ongoing conversion from sin. But perhaps the greatest difficulty of all lies in accepting the truth that God is one whose mercy knows no bounds, and in viewing our own life and the lives of others in light of this abundant mercy. The changes involved in the renewal of the Sacrament of Penance involve our deepest sense of God, self and others in the Church and in the world. If we are to celebrate the Sacrament effectively, we need to recover a sense of ourselves as sinners. But we are sinners who form a community of the redeemed — redeemed sinners who take up the task of ongoing repentance and conversion, thereby becoming a corporate sign of reconciliation to and for the world. We need to deepen our awareness of God as one who forgives more quickly and more completely than we can comprehend, a God who loves us in our woundedness and frailty much more than we would dare imagine. And we need to embrace the fact that the Christian life is one of constant conversion, a pilgrimage which is not finished until we draw our last breath, demanding that we surrender each day to God’s grace and to the movements of the Spirit. This is never as easy as it may seem. Christian life requires a firm commitment to conversion, and this conversion involves a sustained turning away from sin and evil, to the fullness of life in Christ Jesus. To live in Christ is to live according to the Spirit, not the flesh (Galatians 5:15 ff.). The life of the Spirit is marked by peace, patience, kindness, long-suffering, gentleness, faithfulness, single-hearted love of God and neighbor. The absence of the Spirit is recognized in hatred, jealousy, greed, lust and despair. The history of the Sacrament of Penance is the story of the Church’s efforts to find appropriate ways of celebrating the sinner’s reconciliation with God, self, and the community of believers, the Church. From its origins, the Church has recognized that forgiveness of sin and reconciliation with God come in and through the Church. In the period of Christian origins, forgiveness and reconciliation were understood to come primarily through the Sacraments of Initiation: Baptism and Confirmation, and ongoing participation in the Eucharist. Indeed with the increase in adult baptisms in our own day, and the very visible role which these have in the life of the Church of Los Angeles because of the fruitful implementation of the Rite of Christian Initiation of Adults, we see more clearly that to be initiated into the Church is to be welcomed into a community of redemption and reconciliation. What was true in the early life of the Church is also true in our own day. Our grasp on the life of grace is tenuous, and we easily and often compromise and betray what was given in Baptism, and what we proclaim in our celebration of the Eucharist. In the earliest Church, there was the recognition that even the newly baptized sin daily, and one expressed sorrow for sin and the need for reconciliation through prayer, almsgiving, fasting, consultation with wise and holy persons, and frequent celebration of the Lord’s Supper. As the life of the Church took on new dimensions during the Patristic Period, sin was understood as those public actions which threatened the life and well-being of the Church. Though there was no general agreement about which sins required sacramental reconciliation of the sinner, it was generally agreed that the rites of Penance were necessary primarily for “public” sins. The rites of Penance consisted of several moments: entrance into the Order of Penitents; continued prayers and rituals of reconciliation; acts of penance which were often quite long and severe, aimed at bringing about the conversion of heart and of life. Of particular significance for our own contemporary renewal of the Sacrament of Penance is the degree to which the public practice and rites of penance allowed for the whole Church to work with the sinner. There was opportunity for the whole Church to express its concern for the penitent, and for the penitent to profit from the support and encouragement of the entire community. In our own day, we need to take to heart this lesson from history: genuine conversion takes place over a long period of time, and occurs within the context of a supportive and encouraging community. With the passage of time, the practice of penance became less public and less focused on specific acts or works of penance. By the late Middle Ages, the practice of penance focused primarily on contrition and sorrow for sin. Indeed, the focus shifted from acts of repentance to tears of repentance, with the priest assisting the penitent to view his or her life from the perspective of God’s forgiveness. Acts of repentance followed sorrow and reconciliation, but were never eliminated completely. What we can learn from this practice of penance for our own day is that the fruitful celebration of the Sacrament does not lie solely in the detailed description of individual sins, or in making satisfaction for one’s sin by monotonously completing the assigned penance. Rather, the fullness of the Sacrament lies in the invitation to deep sorrow and a contrite heart, and in turning away from sin to the new way of life to which Jesus calls us in the Gospels. This practice is also illustrative of the need for sustained contact with a confessor and for making works of penance relate to the need of the penitent. Above all, it shows that we stand in constant need of forgiveness which comes through being part of the mystery of Christ and the Church. Those practices of penance which focused on judgment and on making restitution for wrongdoing are later developments in the life of the Church. From the 12th and 13th centuries onward the priest as judge came to replace the priest as healer. But, the practices of much earlier periods of Christian history inform the new Rite of Penance. Having looked to those practices even briefly, we might now appreciate more fully the revised Rite of Penance for the reconciliation of sinners. more communal and less individualistic, even if the penitent confesses to the priest privately. The revised Rite highlights the importance of the Word of God in the celebration of the Sacrament, and underscores the nature of Penance as the Sacrament of conversion. This understanding of conversion is best expressed in the Rite itself which speaks of conversion as a turning of the heart away from sin with the hope and the sincere intention of leading a new life (Rite of Penance, no. 6). This new way of life entails examining one’s life in light of the Gospel and viewing one’s own life and the lives of others from the perspective of God’s mercy. And it also demands a willingness to submit our judgments about ourselves and others to the Lordship of Jesus Christ and the power of the Spirit. The revised Rite of Penance provides three different forms of the Sacrament for the Church today. and perhaps the one which is remarked on most often is that the penitent now has the option of meeting with the confessor face to face. This form of Penance provides for a more personal celebration of Penance than was possible prior to the Council. Meeting face to face allows both priest and penitent to celebrate the Sacrament prayerfully, looking at the penitent’s life not only in terms of sin and failure, but also in light of the new life in Christ revealed in the Scriptures, which the penitent is called to embrace more fully. In the hope that the penitent might respond more completely to God’s encouraging promise, the Rite provides for a reading of the Word of God, selected by either penitent or priest, which serves to focus the examination of conscience and confession, and which assures us of God’s loving forgiveness. The second form of the Sacrament is a communal celebration of Penance in which the assembly gathers for song, prayer and listening to the Word of God together. This form includes an opportunity for individual confession, ordinarily with a number of confessors available. If this form is to be celebrated well, provision needs to be made to assure that priest and penitent have adequate occasion to examine the penitent’s life in light of the call to ongoing conversion. This form is particularly beneficial when parishes or other worshiping communities wish to mark the season of Advent, Lent or certain penitential occasions with a communal celebration of reconciliation. It invites the penitents to express their sinfulness as persons and as a community, as well as their need for ongoing conversion both as individuals and as a body of believers. The great beauty of this form of Penance is that it provides a context for reconciliation within the very visible expression of the mystery of Christ and the Church: the gathered assembly of Christ’s faithful. The third form of the Sacrament is reserved for rare and unanticipated circumstances, when people are unable to confess to a priest individually, because of a large number of penitents and a small number of priests, and when people would be deprived of receiving Holy Communion for a long period of time (in the United States, a period of one month or longer is understood). This third form provides for the celebration of the Sacrament with general absolution. Though we would not envision a situation in our Archdiocese that calls for the celebration of this form of Penance, its existence as an expression of sacramental reconciliation causes us to remember the importance of the communal dimension of Penance, and that God’s grace is extended when it is impossible to celebrate the other forms of the Rite of Penance. The importance of the Church community and its role in reconciliation is so central to the rationale of the revised Rite of Penance, that the second form of the Sacrament may be viewed as that form which best expresses the nature of the Sacrament as a sign of Christ’s forgiveness and reconciliation. Because Penance is the Sacrament of reconciliation with God, self, and the Christian community, a communal celebration with individual confession expresses more effectively the nature of the Church as a community of forgiveness and reconciliation, a reconciled and reconciling community. Further, conversion occurs within a community of shared life, shared vision and shared mission. True conversion rarely occurs in isolation. Indeed, if the fruits of conversion are to endure, we need the assistance of others over the course of a lifetime. And because Penance is the Sacrament of ongoing conversion to God in Christ in and through the Church, the assembly gathered for prayer, repentance, and forgiveness is the most compelling sign of Christ’s own ministry of forgiveness and reconciliation given to the Church. The Sacrament of Penance is the gift of the Church for the reconciliation of sinners. Those who celebrate this Sacrament recognize that reconciliation with God, self and the Christian community involves turning away from sin and evil in the world and returning to God and one another. Practices of penance prior to the Second Vatican Council tended to focus on the penitent’s sin and satisfaction for sin through the completion of the as-signed penance in a rather exacting manner. The revised Rite of Penance places the focus on the conversion of the whole person before God. To facilitate this, assigned penances are to be more in keeping with the nature of the penitent’s sin, and are to be assigned and undertaken in the hope of enabling the penitent to live out the grace of the Sacrament in his or her daily life. This is a welcome change. The fruitful celebration of the Sacrament of Penance involves facing one’s sin and sinfulness, and a sustained commitment to turn from sin and evil to the fullness of life in Christ. There is a certain confusion about what is genuinely sinful, or in some cases, a certain reserve about the reality or even the possibility of serious sin. If the Sacrament of Penance is to be celebrated more effectively, greater attention must be given to the need for sincere sorrow and deep contrition for sin. This is not as easy as first it may seem. Much more is required than a return to the way Penance was practiced prior to the Second Vatican Council. Re-cognizing ourselves as sinners does not simply call for a return to compiling detailed lists of wrongdoings and failures to be reported in the confessional. It demands a more mature understanding of the nature of sin. It is no longer sufficient to understand sin simply as an external action which violates an established moral code. The Christian life is one of deep interiority through the indwelling of the Holy Spirit. Sin is more than bad behavior; it is the refusal to be like Christ. Sin must be seen in the context of disloyalty and ingratitude to God, as a “broken covenant.” The gift of grace and the Holy Spirit given in Baptism enables us to live a life motivated by the Spirit, so that our actions might be in accord with the life of God within. Sin may be understood in terms of those tendencies, choices, and actions which compromise or betray the gift of grace and the indwelling Spirit. To recognize oneself as a sinner is to recognize the many ways in which we fail to live the fullness of life in Christ. But this requires attention to our deepest intentions and motivations, as well as to those actions which express these intentions. In other words, we must be willing to examine the reasons for our actions in addition to the actions themselves, our tendencies and inclinations to sin as well as the sinful acts themselves. This entails a good examination of conscience in light of the Scripture, especially the Law and its purposes, the Beatitudes, and the Capital Sins of pride, covetousness, lust, anger, gluttony, envy and sloth. The effective celebration of the Sacrament of Penance demands that both priest and penitent pray for the grace to look at the life of the whole person in view of the Gospel call to integrity and holiness of life, with confidence in God’s promise of forgiveness. It has often been suggested that the practice of penance has declined in the post-Conciliar period because people have lost a sense of sin. The reasons for this loss are many. At the most basic level, the loss of the sense of sin is rooted in the numbing and dulling of conscience which is so evident in our day. In addition to weakening our sense of sin, the dulling of conscience has a still more disastrous consequence: it obscures our sense of God. As Pope John Paul II has written, “the restoration of a proper sense of sin is the rust way of facing the grave spiritual crisis [of] today” (“Reconciliation and Penance,” Reconciliatio et Paenitentia, no. 18). thing is fundamentally wrong with the way they live their lives, but are not able to identify or “name” the reasons for this. The fruitful celebration of the Sacrament of Penance provides occasion for penitents to come to a deeper awareness of sin and to “name” their own sins. Again this requires much more than listing infractions and personal failures. In the celebration of the Sacrament of Penance we may be called upon to face our own blind egotism. We may be challenged to come to grips with our self-centeredness and our selfishness. From the perspective of God’s mercy, we may be able to recognize our own deceitfulness, our smallness, or our dishonesty, and call out for mercy in the assurance of God’s promise. To restore a proper sense of sin, and to “name” our sinfulness in today’s world calls for a deeper realization of the social dimension of sin, while recognizing that sin, in the proper sense, is always a personal act (“Reconciliation and Penance,” no. 16). As a personal act, sin has its most disastrous consequences in the sinner himself or herself, because it weakens or destroys the person’s relationship with God. But, the darkness of the human heart affects not only ourselves and our personal and interpersonal relationships, but also the larger society and global community to which we belong. While it is true that sin involves the person at the deepest and most intimate core of him- or herself before God, attention must be given to the ways in which the Christian is called upon to struggle against the many faces of evil and social sin in our age: national policies which destroy millions of our unborn, racism, the devastating drug culture, environmental pollution, growing violence on all levels, and economic injustice which deprives people of a basic standard of living. The fruitful celebration of the Sacrament of Penance may require coming to terms with one’s deeply imbedded prejudice against those of another race or ethnic group. Or it may require that one face the jealousy, envy, or lust buried in the recesses of the heart, the place where God dwells within. It may call upon the penitent to recognize the sin of silence in the face of the ever increasing problem of homelessness in our cities. The ability to “name” all of these realities as sinful, and the task of seeing that the life of Christ is compromised or betrayed through these sins, calls for a much more mature awareness of the nature of sin, and a sustained dedication to the lifelong process of Christian conversion. In all this the Church maintains the powerful and necessary role of the Sacrament of Penance in the life of God’s people. When inner conversion of heart embraces sorrow for sin and the intention to lead a new life in Christ, this desire is expressed through confession made to God and to the Church through the ministry of priests, due satisfaction, and amendment of life (Rite of Penance no. 6). The fruitful celebration of the Sacrament of Penance in today’s Church will enable the believer to come to an ever more mature and responsible sense of sin, to “name” sin and cry out from the depths of sorrow, and to recognize both the personal and social implications of human sinfulness. To acknowledge the reality of evil and sin in our world, to accept the fact that we are sinners, and to receive forgiveness from sin through the ministry of Christ in the Church, is itself a bold proclamation in praise of God’s mercy. The Scriptures are replete with stories of repentance, forgiveness, and re-conciliation. Central to each of these biblical accounts is the message that God’s constant call to the fullness of life requires an admission of one’s sins, a sincere change of heart and of life, a willingness to accept God’s forgiveness, and a commitment to live as part of the reconciling community as a corporate witness and sign to the world. Perhaps the most familiar and well-loved of the New Testament accounts of repentance, forgiveness, and reconciliation is the parable of the Prodigal Son (Luke 15:11-32). The son who turns his back on his father, and who loses everything through wastefulness, self-preoccupation, and irresponsible behavior is embraced by the forgiving and reconciling love of the father who accepts the son’s straightforward confession of sin and plea for forgiveness. We are to recognize ourselves in the parable of the Prodigal Son, both in the antics of the wayward son and in the jealousy of his brother who cannot seem to accept the readiness of their father to forgive so completely, nor the abundance of the father’s joy at the return of his wayward son. But we are also to see in this parable the plenitude of God’s mercy and compassion — a full and forgiving heart which longs for our return. Sometimes those who are baptized into Christ do turn from the life of grace and Spirit, and, like the Prodigal Son, spend long periods of time in the darkness of alienation. The parable of the Prodigal Son has particular cogency for those who have been separated for a long time from the life of the Church. The Church awaits the return of those who have been baptized, but who have been estranged from the reconciling community, the Church, for a considerable period of time. But if reconciliation with God, self, and community is to be truly effective, then we must realize that true and abiding conversion takes time, and that it requires the assistance of others. This is particularly true when a member of the Church has not been active in the life of the Church for quite sometime. Once again, the role of the Order of Penitents in the earlier life of the Church serves as a constant reminder that conversion from sin to a life in the fullness of Christ takes time, and requires the assistance of others along the way within a living, vibrant community of faith. For the great majority of those in the Church, the task of Christian living entails a day by day struggle, rather than a dramatic return to God and God’s people after having completely turned away. Those who are forgiven through the ministry of Christ in the Church must continue to struggle day after day to live a life of integrity and holiness. They must face the challenges of living in a world ridden with substance abuse, a world in which the sexual abuse of the innocent and the young has reached staggering pro-portions. And, there is the daily task of living in a society whose members are driven by rampant consumerism. In the First Letter of John (1:5 ff.) we find an account of the struggle between sin and grace which is characteristic of every Christian life. The letter is written for those who have been baptized into Christ, but who struggle day by day to live the fullness of life in Christ. Its message is for those who have already received forgiveness, but who continually struggle against the forces of evil and darkness in the world. As such, its message has particular cogency for the great majority of Christians who sincerely strive to avoid evil and sin, and to walk in the light of Christ each and every day. The struggle between sin and grace is likened to the contrast between darkness and light. We are called by Christ to live in his light. Though we strive not to do so, we often betray the life of Christ in us and in others in manifold ways, and thus walk in the darkness. But Christ continues to forgive because of his boundless compassion, enabling us to continue to live in faith and in hope between the darkness and the light. Those who have been redeemed in Christ must continue to respond to the challenges involved in assuring that expressions of human sexuality, marital fidelity, and procreational responsibility are truly a participation in the self-sacrificial love of Christ for the Church. Those who recognize their own sinfulness from the perspective of God’s mercy and forgiveness must constantly struggle to be on the side of the truth of the Gospel. 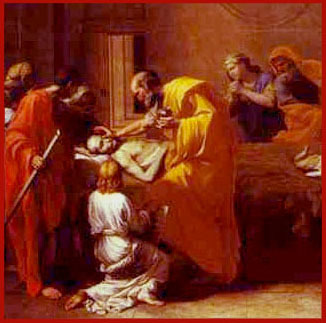 And those who preach and proclaim God’s healing and reconciling love in word and deed must continue to create a world of justice, standing with the poor and wounded, those who were central to Christ’s ministry of forgiveness and reconciliation, and first in the Reign of God about which he preached and for which he died. The darkness of the human heart affects every dimension of human life, social as well as personal. How often we make easy compromises with the evil forces in our world. We are so often silent in the face of suffering. We sometimes go along with a profitable business deal realizing all the while that there is something “shady” or unethical about it. We remain inattentive to the needs of those around us because of our own self-absorption and self-preoccupation. We remain complacent in light of the listlessness and disinterest of our young people when they are challenged to assume their responsibilities in the Church and in society. The renewal of the Sacrament of Penance is crucial for the ongoing renewal of the whole Church. An effective celebration of Penance contributes to a deeper realization of the need for ongoing conversion in Christian life. The Second Vatican Council reminded us that the Church is ever in need of re-form and renewal. This is true not only of Church structures and policies, but also of the hearts and minds of all who believe. If the Sacrament of Penance is to be celebrated fruitfully, we must have a deeper appreciation for the importance of the services of all of those in the reconciling community, the Church, who help in the process of reconciliation. At a very basic level this might include the advice of a good friend, or the counsel of a wise and holy person, who might help us see the need for forgiveness and reconciliation. The ministries of spiritual direction, pastoral counseling and advising must be recognized as services which provide some of the guidance and advice that people need along the way of conversion, while at the same time maintaining the special sacramental role of the priest or Bishop as the minister of God and the Church in effecting sacramental reconciliation. This role is often the most exhausting and demanding ministry of the priest. It is also one of the most rewarding and consoling. In the Sacrament of Penance the priest acts in the person of Christ in the ministry of healing and in rendering spiritual judgment (Rite of Penance no. 6). The revised Rite of Penance, however, also relates the priest’s role in the Sacrament of Penance to his role as presider at worship. The priest is the leader of prayer, and in the Sacrament of Penance, both priest and penitent are engaged in a liturgical action through which the church itself is renewed. If this ministry is to be exercised effectively, the priest must give time to serious and careful preparation. He should try to cultivate the necessary qualities of prudence, discretion, and discernment as well as a firmness tempered by gentleness and kindness. But above all, the priest must live an intense and authentic spiritual life if he is to assist others in the way of true conversion of heart and life as the minister of Christ and the Church (“Reconciliation and Penance,” no. 29.) The priest must himself approach the forgiving Christ frequently in the Sacrament of Penance so that having experienced forgiveness in his own life he might more readily share that forgiveness with patience and understanding with others. The need for a variety of services along the path of conversion underscores the nature of Christian conversion as a lifelong process, a process which finds fullness of expression in its celebration in the Sacrament of Penance. All of those in various ways in the Church’s mission of reconciliation are called upon to assist others in recognizing the importance of the Sacrament of Penance in the ongoing life of the Church. There may be people in the Church who may be hesitant to approach the Sacrament of Penance because they are afraid or because they feel that they have forgotten how to make a good confession. They are to be encouraged to see that the revised Rite of Penance allows for a more conversational and informal mode of dialogue between priest and penitent, a mode very different from the simple recitation of formulas. 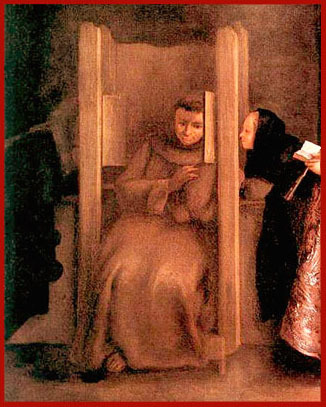 Others more accustomed to forms of “devotional penance” should be challenged to practice the Sacrament of Penance in ways that focus not only on the need for deep contrition and satisfaction for sin, but also upon the grace of conversion which strengthens one in the continual renewal of life in Christ. The revised Rite of Penance provides the opportunity for those striving to live a Christian life to gain strength in the ongoing struggle between sin and grace, the darkness and the light. The celebration of the Sacrament of Penance is a bold proclamation that wherever sin abounds, grace abounds all the more! (Romans 5:20). Those who recognize their need for forgiveness and reconciliation because they do not yet walk in the fullness of light, join with the whole Church in faith and confident hope that the power of love will prevail over all evil (Romans 8:38-39). It is my sincere hope and confident prayer that a more vital appreciation and effective celebration of the Sacrament of Penance will deepen our commit-ment to such personal and communal renewal. To this end I am offering the Guidelines for the Sacrament of Penance which follow. These Guidelines are intended to bring about a fuller, more fruitful and effective celebration of the Sacrament of Penance throughout the Archdiocese of Los Angeles. However, they do not stand alone. If these Guidelines are to be fruitfully implemented, both priests and penitents need to become familiar with the various forms of the revised Rite, and all its options. Of particular importance is the “General Introduction to the New Order of Penance” and the pertinent canons of the revised Code of Canon Law (canons 956-991). Priests and penitents are strongly encouraged to familiarize themselves with the correct outline of the Rite, the various choices for scripture and prayer texts, as well as other options available in the Rite. In this way the external changes in the celebration of the Rite of Penance will be properly understood and appreciated. Moreover, effective celebration presupposes ongoing catechesis. In teaching and preaching (as well as in parish bulletins), care needs to be taken to use terminology and language which properly express the richness of the Sacrament. For this reason, the Sacrament is not to be called “confession”, but rather, the Sacrament of Penance or Rite of Penance or the Rite of Penance for the Reconciliation of Penitents. 1. The Sacrament of Penance in all its ritual forms is above all a celebration of liturgical prayer and ecclesial worship. It is a liturgical proclamation of Christ’s healing love, mercy and forgiveness, and of the Church’s continuing need for conversion. The manner of celebration needs to highlight that the Sacrament is an act of praise of the God of mercy, and not merely an occasion for the enumeration of sins. In each of the forms of the Rite of Penance, the importance of the proclamation of the Word of God needs to be maintained, thus placing the Sacrament in a context of liturgical prayer and worship. Language is an essential component of liturgical prayer. Where the Rite allows for dialogue between priest and penitent (such as the greeting and dismissal), this should be conducted in a friendly, warm and hospitable manner, while respecting the nature of liturgical prayer. 2. The Sacrament of Penance has as its principal purpose conversion and reconciliation.  This determines the frequency and the manner of its celebration. Good catechesis will stress the primacy of conversion in the Christian life and in the celebration of the Sacrament of Penance. The Church maintains the value of “devotional Penance,” but always viewed as a serious striving to perfect the grace of Baptism, and not as a mere repetition. Conversion demands a fuller notion of sin and its affect on our relationship with God and the Church. For the fruitful celebration of the Sacrament, penitents are to be assisted in “naming” sin and in forming their consciences according to the Gospel and the Church’s tradition. Conversion is broader than the celebration of the Sacrament of Penance in its ritual forms. Conversion extends to the whole of the Christian life and involves a myriad of persons and events which lead to and flow from the sacramental encounter. 3. The Sacrament of Penance is ecclesial in its nature as well as its effects, that is, it is a celebration of the Church for the upbuilding of the Church. Its celebration should reflect the social and communal nature of sin, forgiveness and reconciliation. The Sacrament effects individual forgiveness and personal, interior transformation. However, its celebration needs to give greater attention to Penance as a means of communal forgiveness and sanctification. The second form of the Rite (communal celebration with individual confession and absolution) regularly offered, enhances the community’s understanding and appreciation of the communal nature of sin and reconciliation. This form is not simply another or a “quicker” way to receive individual forgiveness, but highlights that all are reconciled members of a reconciling community. This one-to-one encounter readily allows for adaptation to the needs of the individual penitent, to his or her individual relationship to God and to the Christian community. In celebrating this form of the Rite, sensitivity to the faithful’s readiness to participate fully is to be observed. Penitents might benefit from booklets which offer clear delineation of the outline of the Rite and provide options for scripture readings, prayers of the penitent, and so forth. Welcoming the penitent. The priest represents Christ and the community in his attitude of patience, warmth, kindness and understanding as he welcomes the penitent. While maintaining a demeanor proper to the celebration of the Sacrament, the confessor’s style should be conducive to interpersonal dialogue. It is appropriate to begin the celebration with the Sign of the Cross, which expresses our belief in the mystery of the Trinity, and in the Paschal Mystery of Christ, and provides a link to our baptismal commitment. This is followed by an invitation to trust in God, which may be in the words of the ritual or in the confessor’s own words. Proclamation of God’s Word. To more clearly demonstrate the ecclesial and liturgical nature of this individual form, a selection from the Word of God is to be read either by the priest or the penitent, either prior to or after the penitent’s confession of sins. It is especially helpful if the penitent selects the scripture reading beforehand. Confession of Sin. The confession of sins is made in whatever manner facilitates a good and thorough confession. The priest assists the penitent in confessing properly, respecting the penitent’s individual needs and particular situation. Avoiding unnecessary probing, and keeping in mind that the penitent’s life is always to be viewed from the perspective of God’s mercy, the confessor assists the penitent in the formation of a Christian conscience, and in moral and spiritual growth. This part of the Rite normally needs to take more than a few minutes, but should not occupy a major portion of the entire sacramental encounter. The words of the confessor focus on the saving acts of Christ in the life of the penitent. A normal conversational tone, instead of a didactic, exhortatory one, is recommended. Penance. The penance assigned should be proportionate to the gravity of the sins confessed, and be of such a nature as to assist the penitent in continued spiritual growth. Prayer of the Penitent (Act of Contrition). The penitent vocalizes sorrow or contrition in his or her own words, by using one of the formulas given in the ritual, or by a prayer already committed to memory. Cards with a variety of ‘prayers of the penitent’ might be helpful to have available to assist penitents in this regard. During this prayer, the priest listens in silence. Absolution. The confessor then prays the prayer of absolution as provided in the ritual. This may be prefaced by a spontaneous prayer appropriate to the penitent’s situation which articulates praise of God for God’s action in the penitent’s life. The priest’s gesture at this time is the laying on of hands, or at least the extension of the right hand over the penitent. As the confessor says the second part of the prayer (“I absolve you”), he makes the sign of the cross over the penitent. For absolution, the penitent may be either kneeling, sitting or standing. Dismissal. The Rite concludes with a short proclamation of praise and dismissal. The priest is free to use the words of the ritual or his own words. The Church offers this form of celebration of the Sacrament of Penance to better highlight the communal nature of sin and reconciliation. In the celebration of the second form of the Rite, it needs to be remembered that the entire service is one integral liturgical action; it is not a pre-service followed by individual confession of sins. This form has a basic structure which needs to be faithfully maintained. The following elements are constitutive of this second form: introductory rites, greeting and opening prayer, celebration of the Word of God, homily, examination of conscience, general confession of sinfulness, the Lord’s Prayer, and individual confession and absolution. This form’s proper conclusion includes a proclamation of praise for God’s mercy, a concluding prayer of thanksgiving, and a concluding rite. Because this form has a distinct order of celebration and allows for the selection of various options, liturgical preparation is demanded. In celebrating this second form, there should be the usual distribution of liturgical roles, that is, readers, servers, cantor and musicians, ministers of hospitality, and so forth. For the effective celebration of this second form, a sufficient number of confessors needs to be available in proportion to the expected number of penitents. In this way all can remain for the entire celebration, which is befitting the communal and liturgical nature of the Sacrament. This form of the Rite is especially fitting for the liturgical seasons of Advent and Lent, as well as for special groups, such as classes of children, retreat groups, etc. However, parishes need to schedule this second form frequently enough throughout the year so that it becomes a regular option for all in the parish. When celebrating this second form, the physical arrangements should provide for the individuals to approach the confessors either face to face or from behind a screen. Also, attention needs to be given so that privacy is maintained. The Rite of Penance provides this third form for a communal and sacramental liturgical service for the reconciliation of many penitents when it is not possible to have individual confession and absolution. This form of the Rite of Penance is exceptional in character and is regulated by a special discipline (see, the Code of Canon Law, canons 961 and 962). At the present time in the Archdiocese of Los Angeles no generally accepted cases in which the conditions warranting the use of this third form are foreseen. Should a priest believe that such conditions exist in individual cases, he needs to obtain prior permission from the Archbishop. The National Conference of Catholic Bishops has determined “a month” (diu, canon 961, n. 1, 2) without being able to receive Holy Communion as a criterion by which the diocesan bishop judges whether and when the conditions of grave necessity for general absolution are verified in his diocese. As in the second form, this third form highlights the communal nature of the Sacrament. Except for the situation of immediate danger of death, this third form is always celebrated as an integral liturgical action with the usual distribution of liturgical roles. It should never be attached to another liturgical service, such as the Eucharistic liturgy. The celebration of this third form needs to be faithful to the constitutive elements of the ritual, namely, the gathering song, greeting and opening prayer, reading from the Word of God, homily, catechetical instruction before the prescribed rituals for general confession, contritional gesture and general absolution, song in praise of God’s mercy, blessing and dismissal. In addition to the three forms of the Rite of Penance, the Rite also suggests non-sacramental, communal penance services. There are several possible benefits of such non-sacramental communal penance services: they dispose participants spiritually for a subsequent reception of the Sacrament of Penance, they offer a catechetical opportunity to heighten a community’s awareness of sinfulness and the need for conversion and reconciliation, and they may enhance the prayer life of a faith community and nourish spiritually the lives of those who participate. Such services may be offered several times during the year, particularly on Ash Wednesday and during the seasons of Advent and Lent. These services are beneficial with children and special groups, but are primarily intended for use with the adult members of the parish at large. They are most suitable for large gatherings when the second form would be practically impossible, but when a communal penance celebration is called for because of the liturgical season, or in light of some other circumstance or event, such as a parish mission or feast. It is presumed that the faithful would be able to avail themselves of the Sacrament in the near future. The appendices of the Rite of Penance serve as a good resource in preparing such communal penance services. Although such services are not liturgical prayer properly speaking, the principles enunciated above concerning proper liturgical principles should likewise be adhered to. Since these services are not recognized as sacramental prayer, if an ordained minister is not present, a non-ordained minister may preside at such services. Every parish should offer ample opportunity to celebrate the Sacrament of Penance, in both the individual and the communal form. Each parish and cluster of parishes (deanery) needs to consider various times, not only Saturday afternoon or evening, for the celebration of the Sacrament. The celebration of Penance on Saturdays might reinforce the view that Penance is necessary for each reception of Holy Communion. It is recommended that parishes offer day and evening hours at various times during the week to assist in making the Sacrament more available to the faithful. Friday, viewed by the Church as a weekday of penance, might be well-suited to the regular celebration of the Sacrament. Because the second form of the Rite, the communal celebration of Penance, better expresses the Sacrament’s ecclesial dimension, it is recommended that it be regularly scheduled in parishes, perhaps even monthly, and not solely during the seasons of Advent and Lent. The Sacraments of Penance and Eucharist should not be celebrated at the same time, since this practice is contrary to the spirit and the expressed intention of the Rite of Penance (no. 13), as well as the nature of the Eucharist. Lent needs to be restored as the penitential season par excellence. During this season, greater opportunity for the celebration of the Sacrament of Penance needs to be offered. The Sacred Triduum is the culmination of the liturgical year and a specific liturgical time in its own right. It is not the conclusion of the season of Lent. The Sacrament of Penance is best not scheduled during the Sacred Triduum, though it may be celebrated for individuals who request it. Since the Sacrament of Penance is the sacramental expression of the Christian call to ever-deepening conversion, it is best celebrated to mark stages of the ongoing process of conversion and a serious attempt to perfect the grace of Baptism. The Sacrament can be trivialized when it becomes a mere repetitive ritual or psychological exercise. For most persons living in daily union with God and the Church, celebrating the Sacrament of Penance several times each year might serve as a good model. These celebrations would both mark and assist the penitent’s ongoing conversion and the deepening of Christian living. The Sacrament of Penance is part of a broader process of conversion within the context of the whole of Christian life. It celebrates renewed conversion for those who have been alienated for some time from God and the Church. Because the process of conversion has many components and often is assisted by many persons and events, parishes might do well to consider the establishment of an Order of Penitents for persons in this category. The discipline of the Church is that children are to be prepared for the Sacrament of Penance before their first reception of Holy Communion. The Church also teaches that catechesis and the celebration of first Penance be separate from that of first Communion. Children are well served by regular reception of the Sacrament of Penance. It is good to keep in mind, however, that for children as well as for adults, the Sacrament celebrates continuous conversion. Its primary purpose is not to be a catechetical tool for future reception. Parents are the persons principally responsible to see that their children are properly catechized and participate in the Sacrament of Penance with regularity. This responsibility should not be completely relegated to the Catholic School or Program of Religious Education. When men and women return to the Church after a long absence, seeking to be reconciled, pastoral ministers are to be very sensitive to their personal history and unique spiritual needs. Often these persons benefit from an opportunity to engage in a conversion process that will culminate in the Sacrament of Penance. This process may parallel the basic structure of the Rite of Christian Initiation of Adults (RCIA). Parishes are encouraged to offer such persons the opportunity for adequate catechetical updating, to hear the Gospel proclaimed anew, and to integrate themselves into the faith community. Every parish is to provide properly designed and constructed space for the celebration of the Sacrament of Penance. Since the Rite may be celebrated either from behind a screen or face to face, each chapel for reconciliation or confessional needs to allow for the easy use of the options provided in the Rite. A single entrance to the room which allows the penitent, upon entering, to see clearly the arrangements for either option is best. Chapels for reconciliation or confessionals are best placed within the general worship area to show clearly that the celebration of Penance is liturgical prayer. Furthermore, since Penance is a deepening and renewal of the grace of Baptism, it is recommended, as far as possible, that these spaces be in proximity to the baptismal area. Chapels or confessionals used for the Sacrament of Penance should ordinarily be reserved solely for this purpose. Proper attention is to be given to the overall environment of these worship spaces. They need to be comfortable, with proper attention given to lighting, ventilation and acoustics. Chapels or confessionals should be decorated appropriately. Liturgical symbols should be of good quality. To highlight the liturgical nature of each form of the Rite of Penance, the suggested garb for the priest is the alb (or surplice) and stole. However, the custom of wearing a stole over clerical attire or cassock may be followed.